Does a screaming engine send chills up your spine? Are you looking for more action and more throttle? Well look no further; we have a DVD for you. We spent an entire year traveling all over the Southeast filming the best show in Off Road. We followed some of the best drivers in the Sport including Tim Cameron, Wes Kean, the Tanners, Brian Cole and many more. The film was shot on location at some of the best Off-Road Parks in the South. These include Gray Rock, Morris Mountain, Crusher Ridge, River Rock, & Choccolocco ORV. This isn’t rockcrawling as it is known out West. This is Southern Style Wheeling. 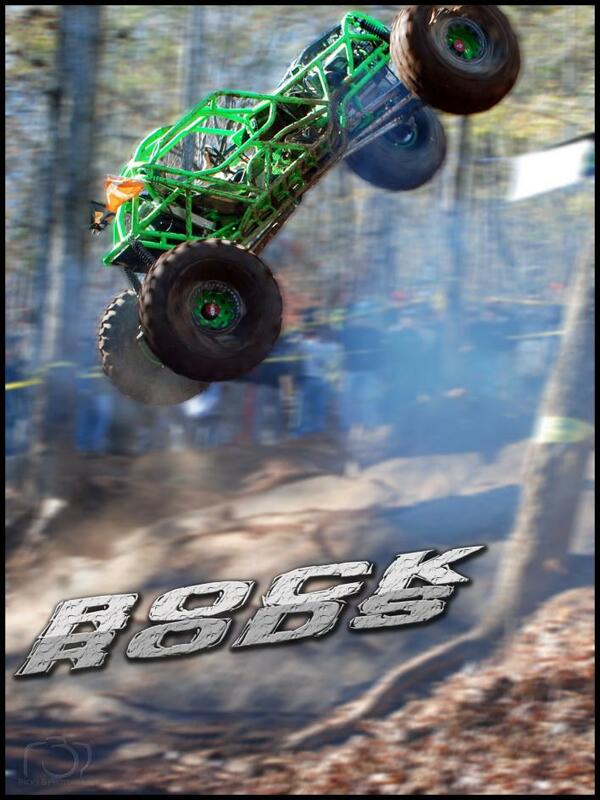 Rock Bouncing is the term used for this full throttle, high speed style of wheeling that has become more and more popular over the years. These are not your typical rockcrawling rigs either these are RockRods. These full tube creations are built to handle the abuse with insane motors, built axles, huge tires, and drivers that refuse to quit. Their make it or break it attitude brings crowds of people to events every weekend. Catch an entire years worth of Motor Screaming Chaos in one DVD. Order it TODAY. See the best off road vehicles in the south go up against some of the gnarliest trails we have to offer. In this 3 day event 12 vehicles go up against 7 of the most brutal trails the twisted minds of the SETTC could come up with. They battle breakage, pouring rain, and blinding dust. The teams will be put to the test physically and mentally. Tempers will flare. Are you Tough Enough? Find out with this action packed Film! See the most insane one day endurance race in the world. Where else can you see UTVs, ATVs, desert trucks, Jeeps, Ultra 4 Race cars, & Dirtbikes battle it out for supreme bragging rights? The Ultimate Motorsports Championship takes place at Badlands Off-Road Park in Attica Indiana. Riders and drivers alike strain with every ounce of strength they have to endure this long distance race. The course is built with one thing in mind, SPEED. The desert like pea gravel sand requires the utmost control and focus and just when you think you have the sand figured out the course dips into the woods where competitors have to dodge trees at speed. This race will not only test the strength of their vehicles but the mental toughness of their entire crew. We caught all of the action and are bringing it to you on one killer DVD. Set with a rocking soundtrack from Tallboy, this DVD will not disappoint. In the Black Mountains of Kentucky, their journey will begin. Over 50 miles of Mud, Rocks, & Dust stand in their way. Many will fall. Few will Rise. This is the Prelude to the toughest off-road race on the planet. This is the ECORS King of the Hammers Qualifier at Harlan, Kentucky. The top three finishers of this race will have a date with destiny at the 2011 King of the Hammers race in Johnson Valley California. Witness all of the Power, Carnage, Camaraderie, and Fatigue that makes this arguably the most difficult KOH qualifier race in the country. The DVD has over an hours worth of rollovers, carnage, and glory. We even included the ECORS A&B Class Race.